Uglyworld #134 - We Need To Take This Tonight, originally uploaded by www.bazpics.com. While I was dealing with some work stuff tonight I could hear Wage talking to someone on the phone. 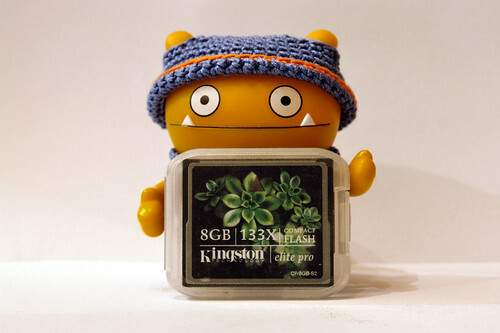 A little while later he came wandering over shouting "baz" to me, when I turned round I found him holding this CF card. It turns out it was Mireille on the phone to him and she told him not to disturb me but to make sure that we take her 8Gb card tonight when we go to her house as she's not able to shoot any pics without it.